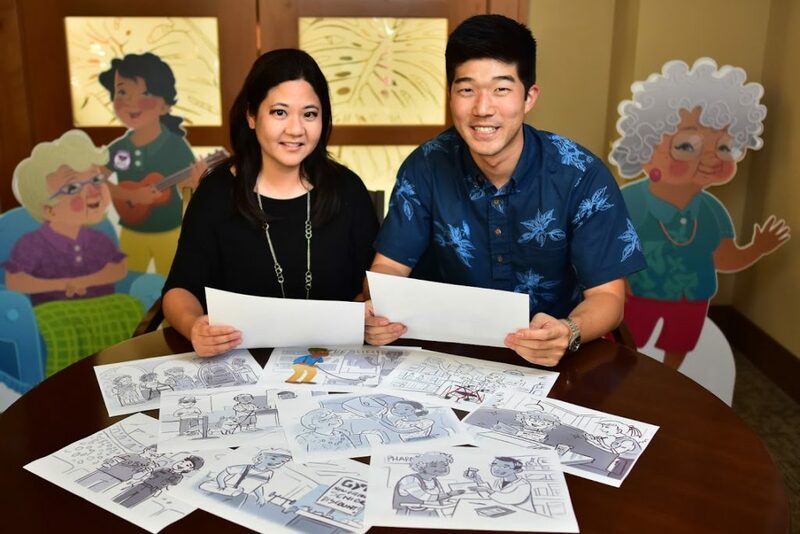 Age-Friendly Honolulu is launching an age-friendly business certification program called Kind2Kupuna. 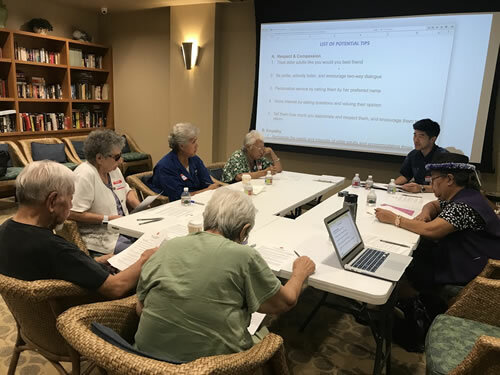 With support from Kaiser Permanente Hawaii, Age-Friendly Honolulu is working with companies who are interested in better serving older customers. Businesses will receive access to best practices, technical assistance, networking, and recognition opportunities. Interested businesses: Please contact Christy Nishita at kind2kupuna@gmail.com for more information. We look forward to partnering with you! Interested in nominating a business? Please email Christy Nishita at kind2kupuna@gmail.com and include your name and phone number, as well as the name and location of the business. Then, in 100 words or less, please explain why this business is “age-friendly” to older customers. 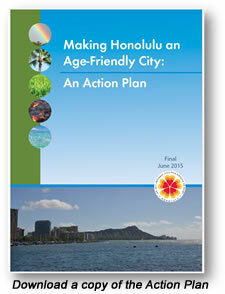 Age-Friendly Honolulu has created a poster, “10 Tips to Help Businesses Engage with Kupuna”. Created with support from AARP and Plaza Assisted Living, we encourage businesses to adopt these age-friendly practices. Click HERE to access the poster. 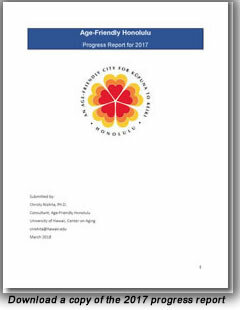 Get the 2017 Progress Report! 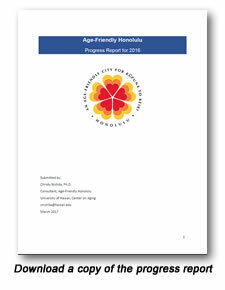 Get the 2016 Progress Report!